Wednesday and as its hump day, I thought i would try and show some of the Trumpys that are going to be seen on the Tarmac in 2016.. I am happy to say that they have such a great set up now and needed it to be honest, as the suspension is just what the proverbial Doctor ordered. 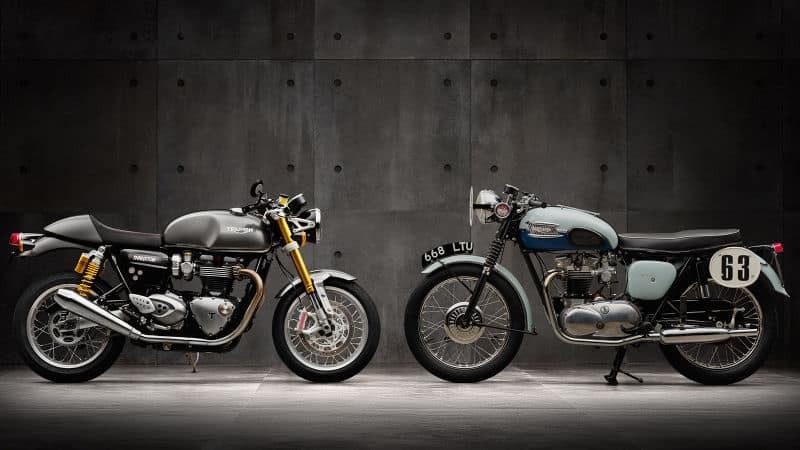 Since its launch in 1959, there are few bikes that have influenced pop-culture and, more importantly, retro-style biking as much as Triumph’s Bonneville has. 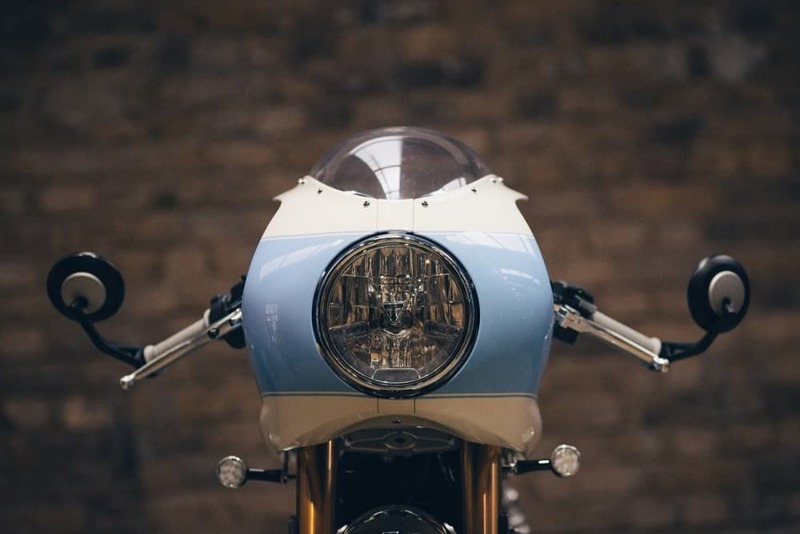 The current Bonnie, after its 2001 launch, had been left virtually untouched for fourteen years, a testimony to the British maker having hit the nail on the head in preserving this motorcycle icon’s heritage. 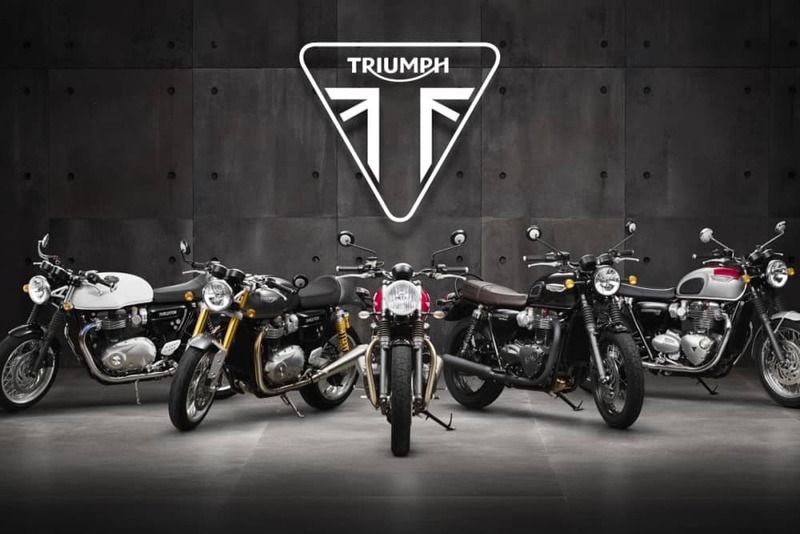 Come 2016 though, Triumph will bring in five new, thoroughly revamped Bonnevilles, all ready to roll out of the state-of-the-art Hinckley manufacturing plant we recently visited, some of which will hit Indian shores around the upcoming Auto Expo 2016. The new bikes are powered by a new range of substantially more potent engines, deploying either a 900cc or full-blown 1200cc capacity, in parallel-twin layouts, with liquid cooling and fuel-injection, and are expected to bring the Bonneville into the 21st century while keeping intact their timeless appeal. Starting with the most affordable amongst the new crop of Bonnevilles, the Street Twin is expected to be the most popular offering from Triumph when it goes on sale here in India. One look at it and you know for a fact that the Street Twin can’t be anything other than a Bonneville. To be made available in four paint schemes, black, a matte black, red or silver, the Street Twin is easily distinguished by its black 10-spoke alloy rims, as well as the blacked out bits on the lower parts of the bike, including the handsomely detailed engine. The Street Twin pumps out a throaty and a rather exciting exhaust not from its smoothly profiled, brush finished twin exhausts. Expected to be priced close to the current Bonneville, the Street Twin will come powered by a four-stroke, 900cc, parallel-twin powerplant, which churns out its peak torque of 8.16kgm at amazingly low engine speeds, making it very rideable in urban conditions, while also holding ample punch across its rev range. 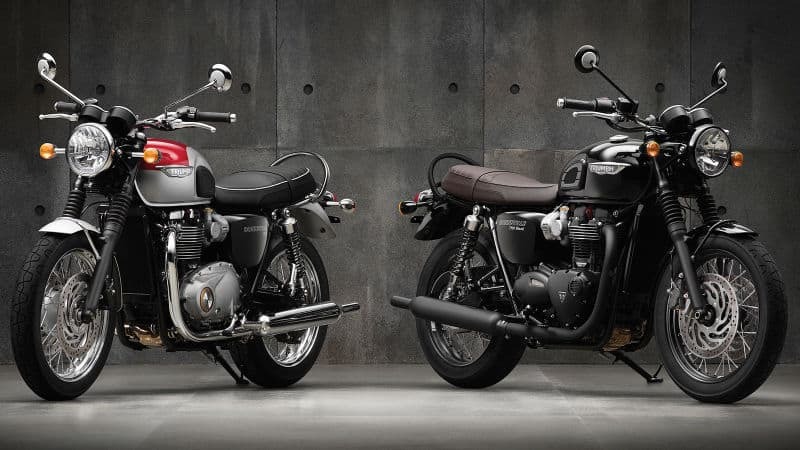 The smooth-running engine comes mated to a six-speed transmission and Triumph claims that the new Street Twins offer a 36 percent bump-up in fuel-efficiency, this in tow despite the promise of more exhilarating performance. And if that wasn’t enough, the Street Twin won’t feel a budget Bonnie, Triumph walking the extra mile to load up this new motorcycle with goodies like ride-by-wire throttle management, a switchable traction control system, a slip assist clutch which feels relatively lighter, plus an ABS system to widen the braking safety net. The Street Twin comes with a single disc rotor in front. In terms of features, the Street Twin gives you a gear-indicator on the instruments bay, a USB socket and engine immobiliser to mention a few. Next up, the Bonneville T 120 is a modern-day Bonneville on which attention to retro-style detailing has been placed above all else. The bike, riding on shiny wire-spoked wheels, looks exotic thanks to the chromed out engine cases and the bright and old-school peashooter exhausts. 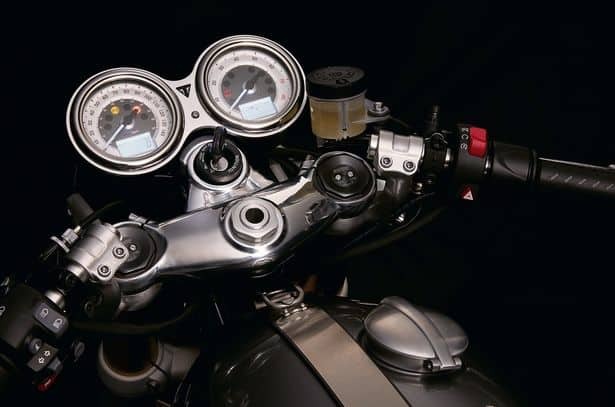 Its twin front disc brakes and the twin-pod instrument cluster make it simple to differentiate the T 120 from a Street Twin. Triumph has worked to improve the ergonomics on all the 2016 Bonnevilles, so expect riding comfort to have taken a step forward. But the real plus over the Street Twin here comes in the form of the big leap on the engine front; the T120 getting a torquey 1,200cc, parallel-twin powerplant that sounds gruff and grunty. As on the Street Twin, the T 120 comes with a ride-by-wire throttle, and six-speed gearbox, supported by a slip-assisted clutch. In addition to switchable traction control and ABS brakes, there are also two riding modes, Road and Rain. The T 120 also offers the luxury of heated grips for comfortable riding on winter mornings, apart from a USB charging point. Cruise control is optional. 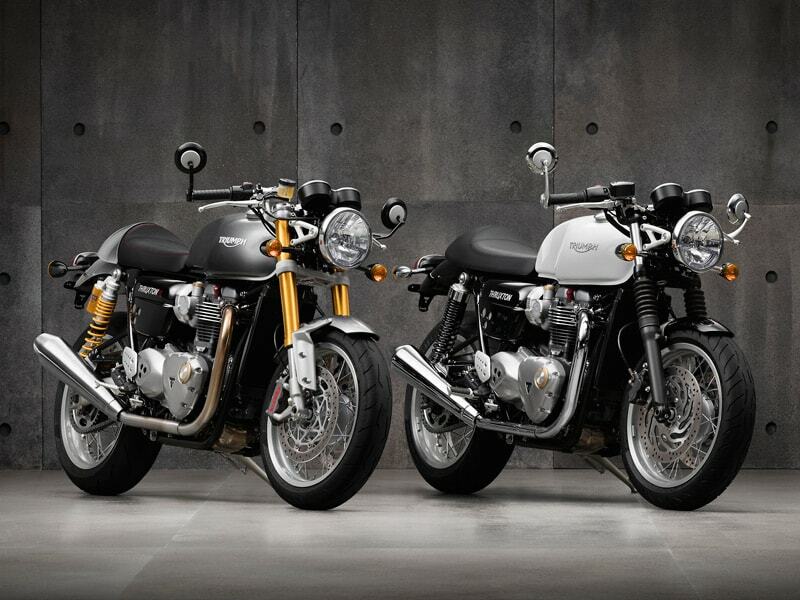 Expect the Bonnevilles to offer a comfortable, upright riding position, as against the the sportier Thruxton, up next. 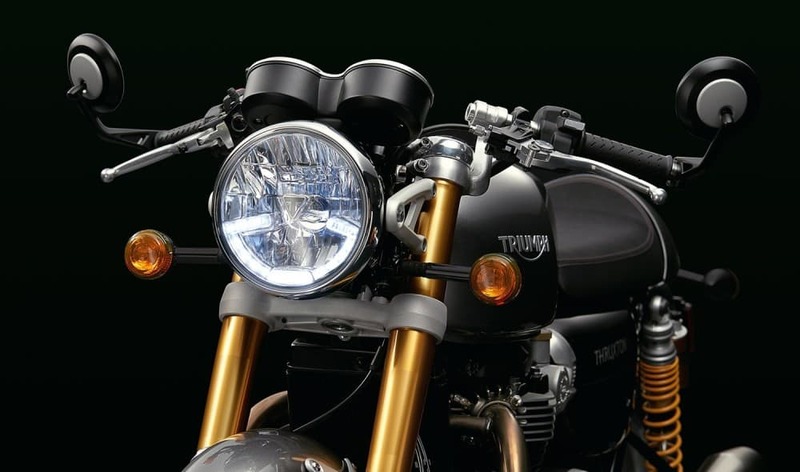 Triumph has upped their game on the upgraded, and not to forget, the stunningly styled 2016 Thruxton and Thruxton R models, Both the bikes come generously equipped with really top drawer specifications and beautiful detailing, which can be seen in the finely crafted Monza-style fuel filler cap. And you simply can’t miss the bar end mirrors, a neat design touch on the Thruxton that few other bikes can carry off so well. 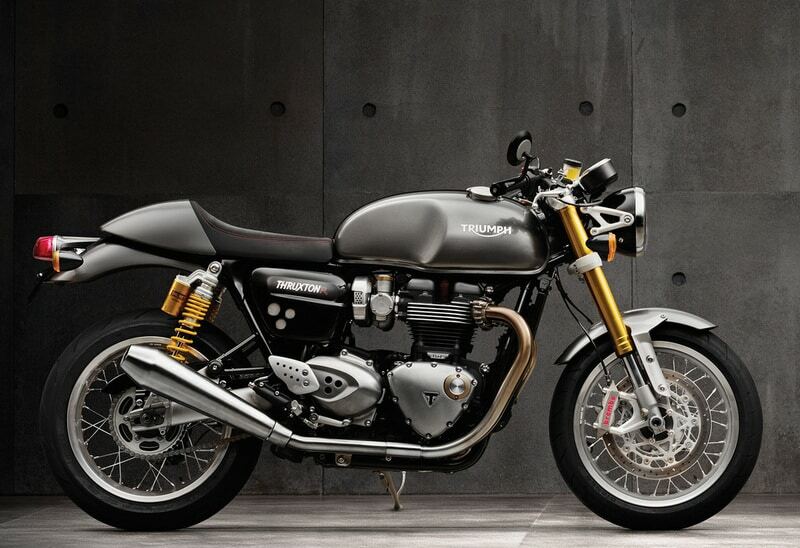 Although held together by spokes, the 17-inch Thruxton wheel rims are alloy constructed, as is the swingarm. 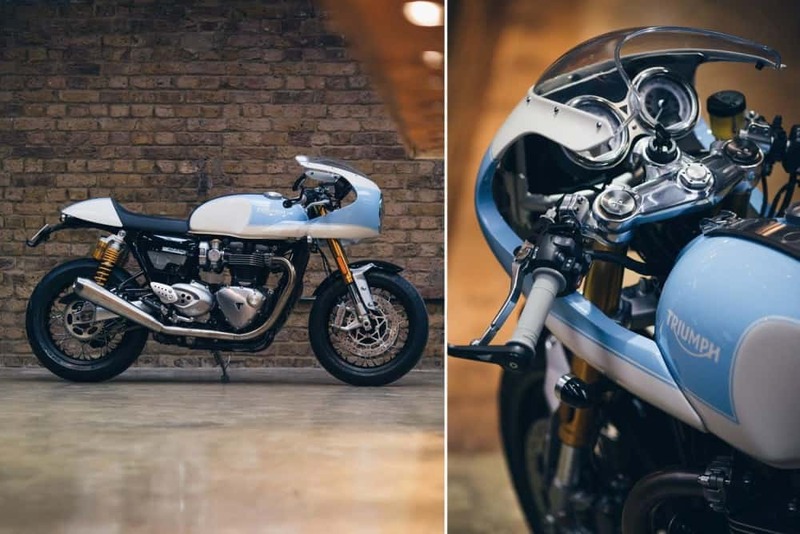 Extras on the upmarket Thruxton R include a colour matched seat cowl, buffed steering headstock and clear anodise swingarm. 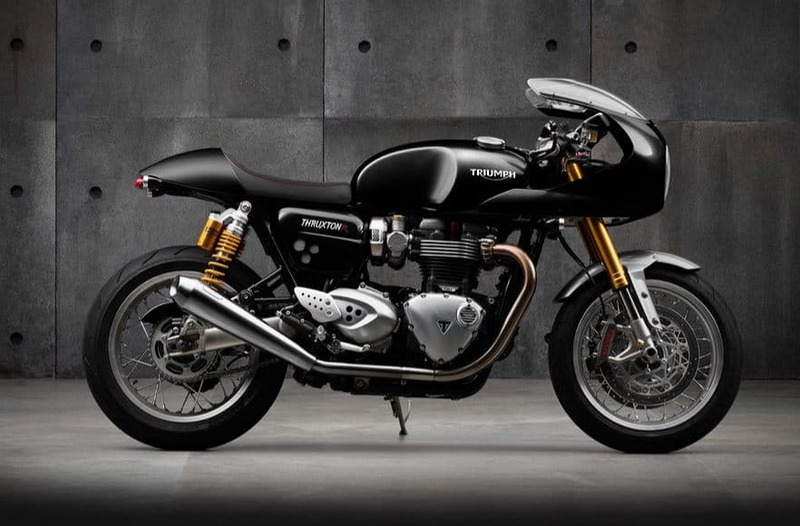 There’s that authentic café racer look you can’t miss, and besides the aggressive styling, Triumph has given the Thruxtons the added bite of a specially tuned 1,200cc, parallel-twin powerplant that delivers 11kgm of maximum torque, twisted out at a sportier 5,000rpm, and marking a massive 57 percent leap on the previous model. 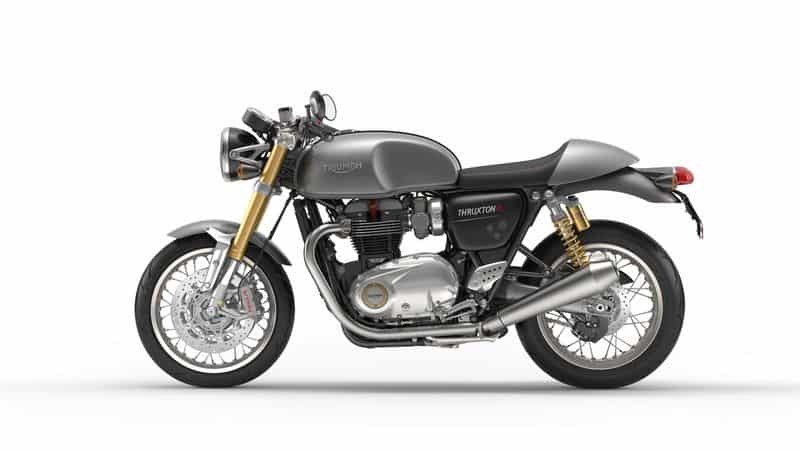 The Thruxton R comes with all the bells and whistles, stainless steel exhausts without catalytic converters for added oomph, Ohlins fully adjustable suspension at rear and Pirelli Diablo Rosso Corsa Tyres. And a set of floating twin disc brakes in front, clamped on by Brembo callipers. Besides the new bikes, also on offer is a mile long list of accessories and custom parts to match all the 2016 Bonneville bikes. As for the bikes themselves, there’s virtually nothing that stays the same between these new Bonnevilles, and the pre-2016 bikes, save for the aplomb with which they have carried forward their legacy. This entry was posted in Uncategorized and tagged 59 club, ace cafe, british bike, BSA, busy bee, cafe racer, Great Cambridge Road, leather jacket, north circular, norton, norvin, ogri, Rockers. 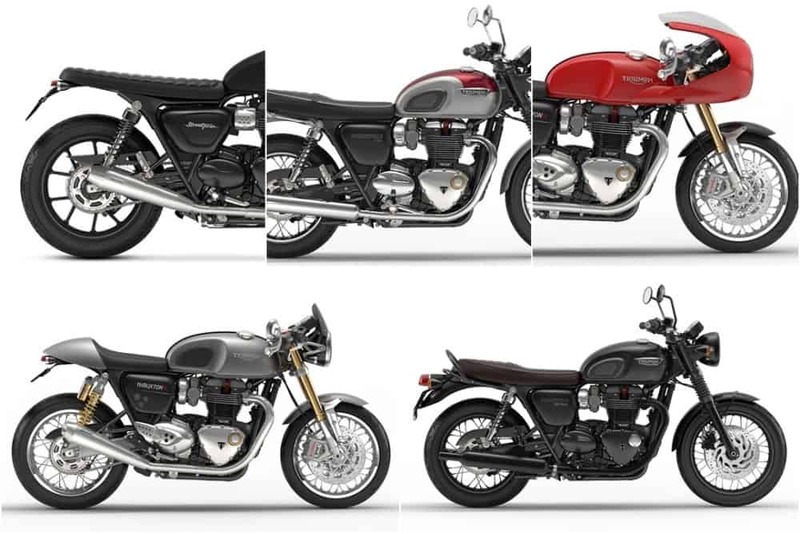 T100, royal enfield, T120, Thruxton Bonneville, ton up, triton, Triumph motorcycles, vincent. Thursday Tunes- something to make the day go by way smoother. Always nice to hear from my viewers and I continue to try and push the envelope on information.